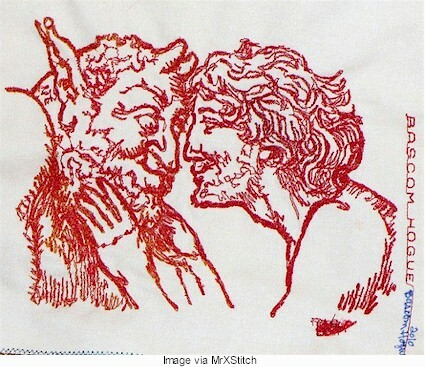 Ansie of sol y sombra lets us look over her shoulder as she interprets a photograph in blackwork. See the post. 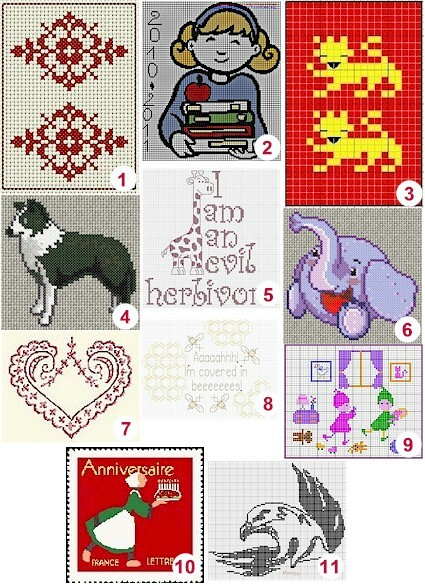 Just in case you’re eager to start stitching next year’s holiday decor and gifts, here’s one last round-up of free Christmas designs. This desktop calendar featuring Mountmellick embroidery by Janet M. Davies is free from JMD Designs. Download it now. 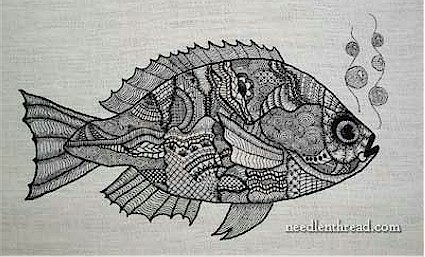 Mary Corbet of Needle ‘n’ Thread blog walks us through the development of a blackwork design. See the tute. Download a freebie. 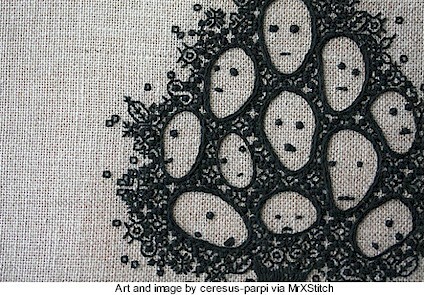 Penny Nickels is hanging out over at MrXStitch, buffing up our appreciation of contemporary blackwork. Go see.